Jungyeon Roh contributed art to the Sea Shepherd Conservation Society's Waves of Change art show at the Hasted Kraeutler art gallery in Manhattan's West Village. The opening reception takes place on Thursday, June 27th and will include refreshments, music and a special speaking engagement from a Sea Shepherd ship captain. All proceeds from the sale of the art will go directly to the charity. Founded in 1977 by Captain Paul Watson, Sea Shepherd's mission is to defend, conserve, and protect the world’s marine wildlife species and marine wilderness ecosystems. SSCS is the most aggressive, determined, active, and effective defender of marine wildlife in the world. Red Nose Studio's Chris Sickels is one of thirteen artists contributing artwork to the annual MicroVisions auction at the Society of Illustrators in New York. Each piece measures 5x7 inches with all proceeds benefiting the Society of Illustrators student scholarship fund. The eBay auction goes live Tuesday, April 23rd and will end Thursday, May 2nd at 7:00pm. Chris' piece 'Waiting for Shackleton' was inspired by Sir Ernest Shackleton's Trans-Antarctic Expedition in 1914. Visit Chris' blog to see preliminary sketches and read more about the piece. There will be a Happy Hour and Opening Reception celebrating MicroVisions at the Society of Illustrators on Wednesday, April 24th from 6:00 to 10:00pm. The artwork will be on display until Saturday, May 18th. Roumieu for Garrison Creek Bat Co.
Graham Roumieu's bat created for Garrison Creek Bat Co. will be on display at 'Season Opener,' a celebration of baseball and art, opening Wednesday, April 3rd 2013 at the Steam Whistle Brewery art gallery (255 Bremner Blvd, Toronto). Other artists also on display are Kathryn Macnaughton, Lorraine Tuson, and Tavis Coburn among others. Bella Pilar's gorgeous artwork for the Papyrus display at this year's Mercedes Benz Fashion Week was a huge hit! Her posh cover girls appeared on the show schedule's cover, press passes, a foil-embossed greeting card custom created for the event and a highly sought-after VIP tote bag. The week-long event opened on February 7th and wraps up today in New York City. Check out the initial sketches below and read more about Mercedes Benz Fashion Week here. Emiliano Ponzi and Jungyeon Roh are exhibiting in TOWNIES: An Exhibition of Illustration from the New York Times Opinion Blog. Townies is a weekly series about life in New York (and occasionally other cities) written by the novelists, journalists and essayists who live there. The exhibition takes place on Thursday, February 7th at Gallery 7 in the New York Times building. Last year Jungyeon Roh created a series of illustrations for Kiehl’s Since 1851. In 2003, New York City mayor, Michael Bloomberg, declared November 12th 'Kiehl’s Day' in honor and recognition of their ongoing contributions to the community. Since then Kiehl’s stores worldwide have joined in the celebration, making significant contributions in their own communities to commemorate this special day. Jungyeon’s illustrations could be seen on Kiehl’s in-store signage and promo materials in stores worldwide. The series (click here to see it) was so well-received it recently won a merit award in HOW magazine's InHOWse Design Competition. The awards program shines a spotlight on an under-represented segment of the design industry, giving in-house designers the kudos they deserve. Part of the Kiehl's series included a map of New York City's East Village, home to the original Kiehl's store in 1851. The map was chosen to appear in the Society of Illustrators 55 annual and will be on display as part of the Editorial, Book and Advertising exhibition at the Society of Illustrators in New York from January 30th through March 2nd, 2013. Congratulations go out to Jungyeon, Travis Cain (Art Director for the project) and everyone at Kiehl's! Red Nose Studio Exhibits at C.A.VE. Chris of Red Nose Studio dipped into some '90s nostalgia for a gallery exhibition inspired by the alternative rock band the Pixies. "I admit I never knew the right words to the Pixies songs," says Chris, "but they sure helped keep me up during the many all-nighters at art school." Chris chose the song "Bailey's Walk" as the inspiration for his piece. He says the show "gave me a chance to really look into the lyrics of the band. I am still amazed at the emotions and energy their songs have, even when they tend to make less sense after you know the words." Kevin Titzer curated the show at C.A.V.E. gallery, which is located on famed Abbot Kinney Boulevard in Venice, California. Here Comes the Garbage Barge! (Schwartz + Wade), written by Jonah Winter and illustrated by Red Nose Studio, will be part of the Original Art Show at the Museum of American Illustration at the Society of Illustrators in New York, NY. The annual exhibition showcases the original art from the year's best children's books, as selected by a jury of outstanding illustrators, art directors and editors. The show runs until Wednesday, November 24th, 2010. Congratulations go out to Chris, Jonah and everyone at Schwartz + Wade. Red Nose Studio will be exhibiting his work in Seeing Red (Nose) at Manifest Gallery in Cincinnati, OH. The exhibit presents a full spectrum look at Chris' intense and highly unique illustrative process with original sketchbooks, hand-crafted sculptural models, finished photographic illustrations and stop-motion animations on display. It has been five years since this many pieces have been available in one place so if you're in the Cincinnati area, check it out. Red Nose classics like Fork Boy and The Red Thread Project will be on display, as well as never-before-seen test scenes of Scout and the new silent short Bandit Blood. It runs until Friday, August 6th, 2010. Red Nose Studio will be showing his award-winning art in the Illustration West 48 exhibition at the Langham Hotel in Pasadena, CA. The show coincides with ICON6 but you don't have to be an ICON attendee to attend. It runs from Tuesday, July 13th to Saturday, July 17th in the Wentworth Room. Hennie Haworth is participating in Nerve Centre of the Empire, a new exhibition recently opened at the Porthcurno Telegraph Museum, near Lands End in Cornwall. Formally the largest cable station in the world, the exhibition at Porthcurno shows what massive impact on society and technology this remote corner of south-west England had. The exhibition was designed by Neil Tinson Studio. Red Nose Studio and Bella Pilar are exhibiting artwork in ICON6: A Labor of Line at Nucleus Gallery in Alhambra, CA. The show coincides with the illustration conference, featuring art from 60 of this year's attendees and contributors. 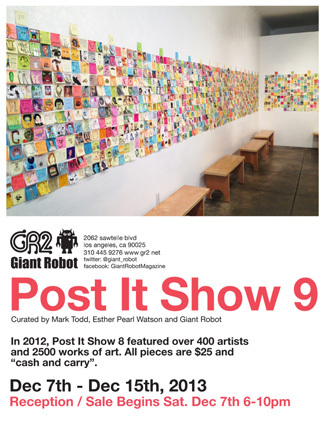 The show runs until Monday, August 9th, 2010. Red Nose Studio is exhibiting his piece, The Seeder, in EARTH: Fragile Planet at the Museum of American Illustration at the Society of Illustrators in New York. The exhibit, curated by Greg Manchess and Jack Unruh with co-curators Tara Jacoby and Kate Feirtag, will showcase the work of 120 of the world’s most accomplished illustrators, including original art in both traditional and digital medium, video, 3D and comics. The show opens on Friday, June 4th and runs until Saturday, July 31st, 2010. Click here to see the process behind Red Nose Studio's piece. Opening Reception: Friday, June 4th, 2010 at 6pm RSVP to kb@societyillustrators.org by Wednesday, May 28th, 2010.